hd00:18The fence with barbed wire in the winter. hd00:14Barbed wire against the sky. hd00:10Barbed wire against the sky at sunset. hd00:13Panning shot of a razor wire topped metal fence being shaken as if by a prisoner who wants to get out. 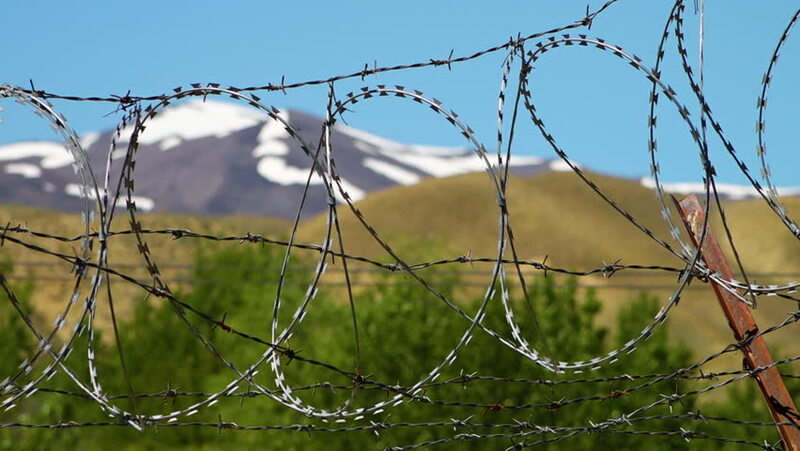 4k00:10Panning view of razor wire on barbed wire fence covered in spiders to protect equipment on mountain top where Orb Weaver Spiders thrive. hd00:09Barbed wire against the sky.